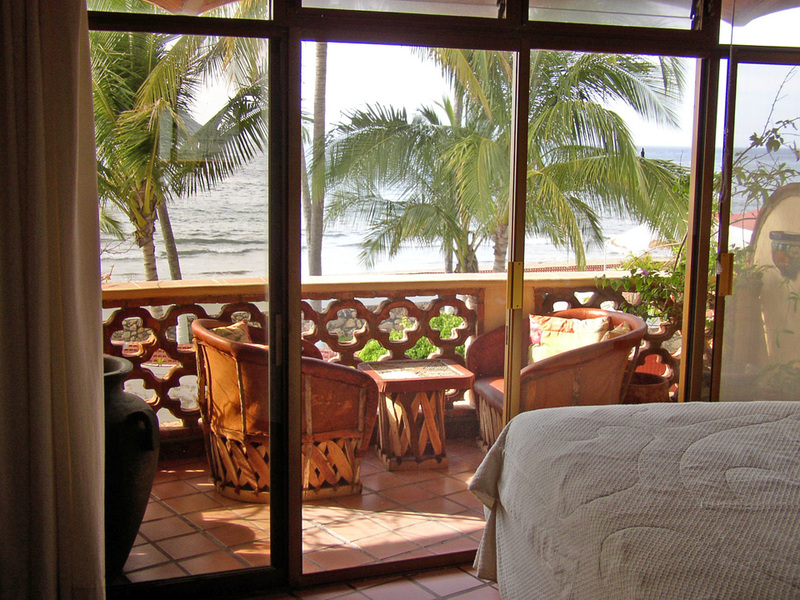 Fantastic views of Jaltemba Bay, Isla Cangrejo and the beach are to be had with the Junior Suite. 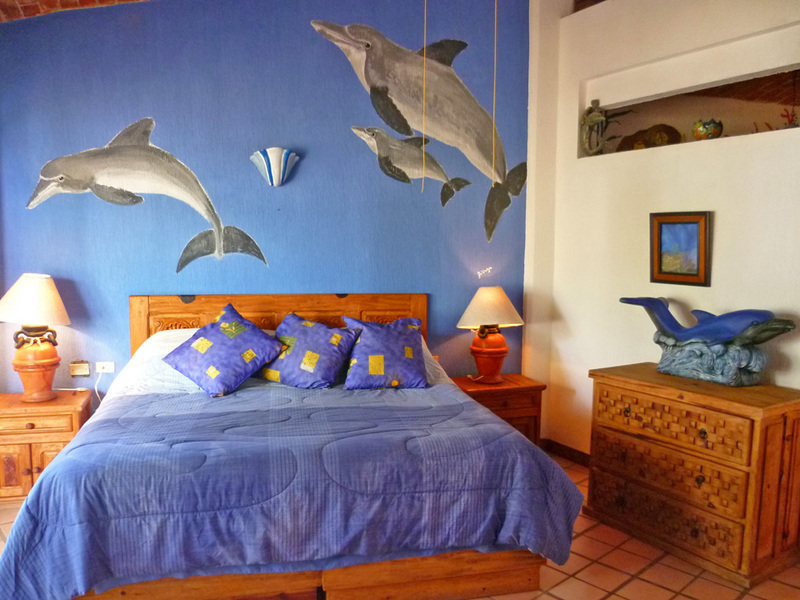 Located on the second floor of Villa Corona del Mar, the Junior suite is ideal for those looking for additional sleeping space for two adults or children yet need the added feature of being able to enclose off their room. The Junior Suite has a king size bed in the principal bedroom room that can be locked off for privacy with private balcony with bathroom, shower, toilet and sink. 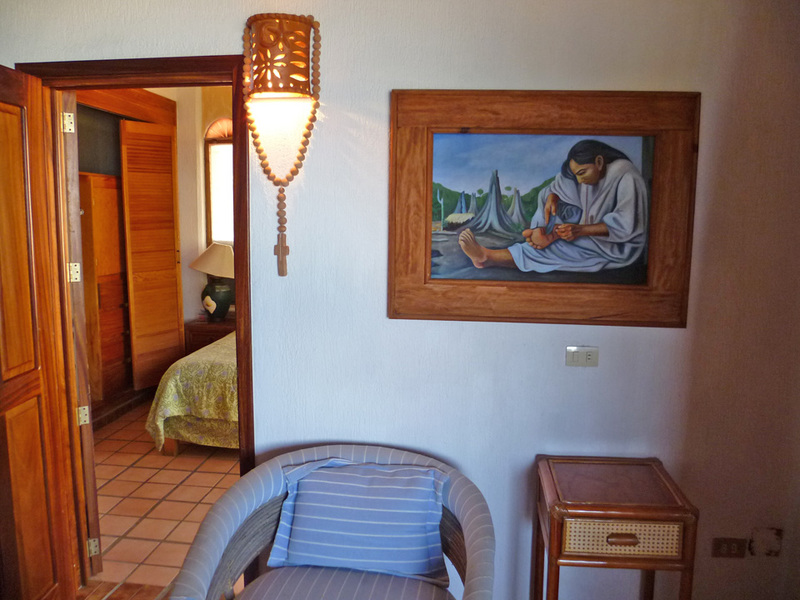 The second bedrroom has two Single Beds, an additional bathroom with shower, toilet and sink. 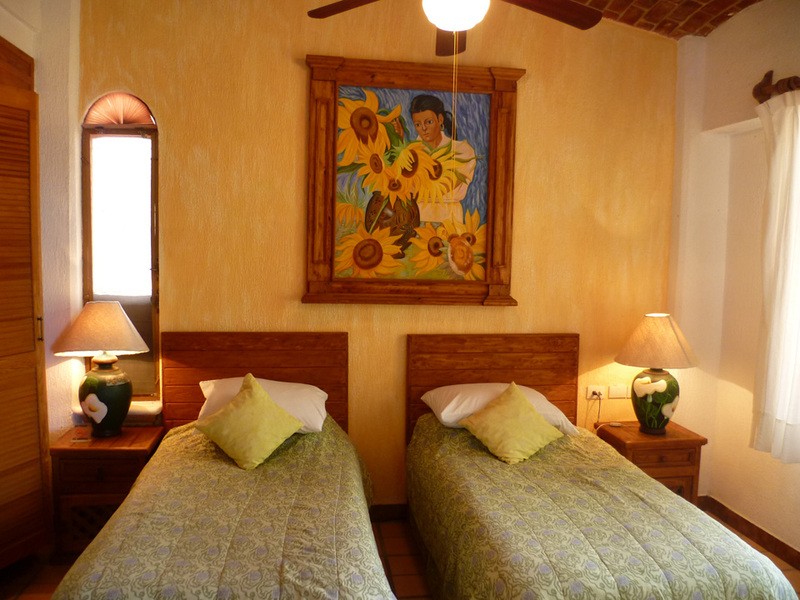 The Junior Suite is located in the main villa and has views of the ocean and beach of Rincon de Guayabitos as well as the Islands.